Would you eat this bland bagel? This is the design that set off bagelgate. There are clearly some very strong opinions about bagels. Apple added a bagel emoji to the early betas of iOS 12.1 and some people lost their minds. The proposed image was rather plain, and there was no sign of cream cheese, which was enough to set off a firestorm of protest. Those who were offended by the emoji can rest easy tonight knowing that Apple has a new version of the bagel that looks more like something a New Yorker would eat. 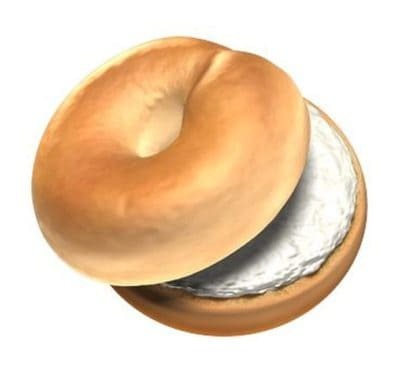 The redesigned iOS 12.1 bagel emoji. Philadelphia Cream Cheese had its own comment about the lack of a certain condiment: “We think that a #BagelEmoji without cream cheese is a #SadBagel, what do you think?”. It even went so far as to start a petition on Change.org. Buried in today’s iOS 12.1 beta 4 release is the answer to so many complaints: a redesigned bagel emoji. The fresh bagel design sports a thick layer of cream cheese. And it looks more handmade and less like the product of a bagel machine. However, only time will tell if bagel fans will accept Apple’s peace offering.